Scare the neighbors with the spookiest yard on the block! Cathie & Steve transform pieces of styrofoam into these ghastly DIY tombstones with a few tricks up their sleeves. Mod Podge Collage Clay gives texture with FolkArt Painted Finishes in Moss and Concrete! The Mod Melter and Mod Melts make it easy to inscribe with your own custom message, while Mod Melts and Molds make it easy to embellish. Learn how easy it is to make these with Cathie & Steve in the latest Make it with Mod Podge video below and get the full project instructions to make your own tombstones! 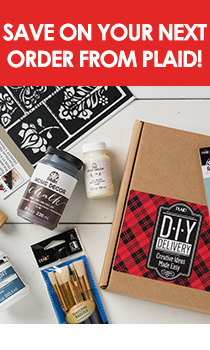 Subscribe now to our YouTube channel for more #MakeItWithModPodge!